The team is reunited, but everything’s changed. 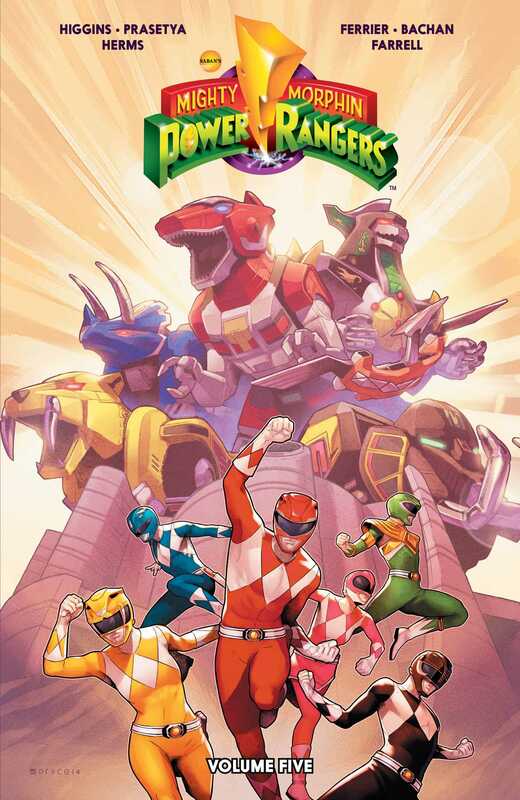 Without the guidance of Zordon or the constant attacks from Rita, the Power Rangers must discover what it means to be a hero in this brave new world. Finding new allies and facing new villains, a lost history of Zordon’s first Power Rangers team on Earth will be uncovered. From Kyle Higgins (Nightwing) and Hendry Prasetya (Power Girl) comes a change to the status quo. Also featuring The Adventures of Squatt and Baboo from Ryan Ferrier (Kennel Block Blues) and Bachan (Bill & Ted Save the Universe).